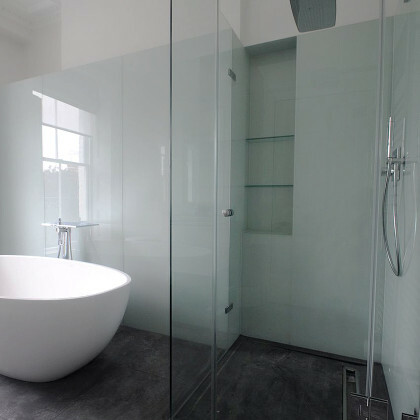 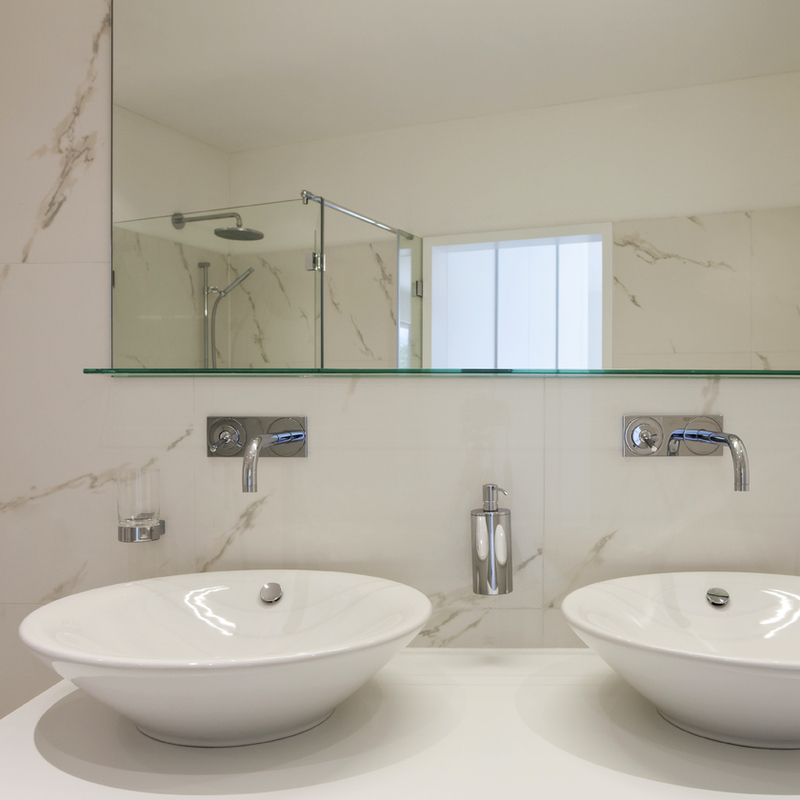 SSI True Frameless UV bonded glass shelf is a stunning and admirable feature in a luxury bespoke bathroom. We can supply UV bonded shelves to frameless shower enclosures or UV bonded shelves to made-to-measure mirror. 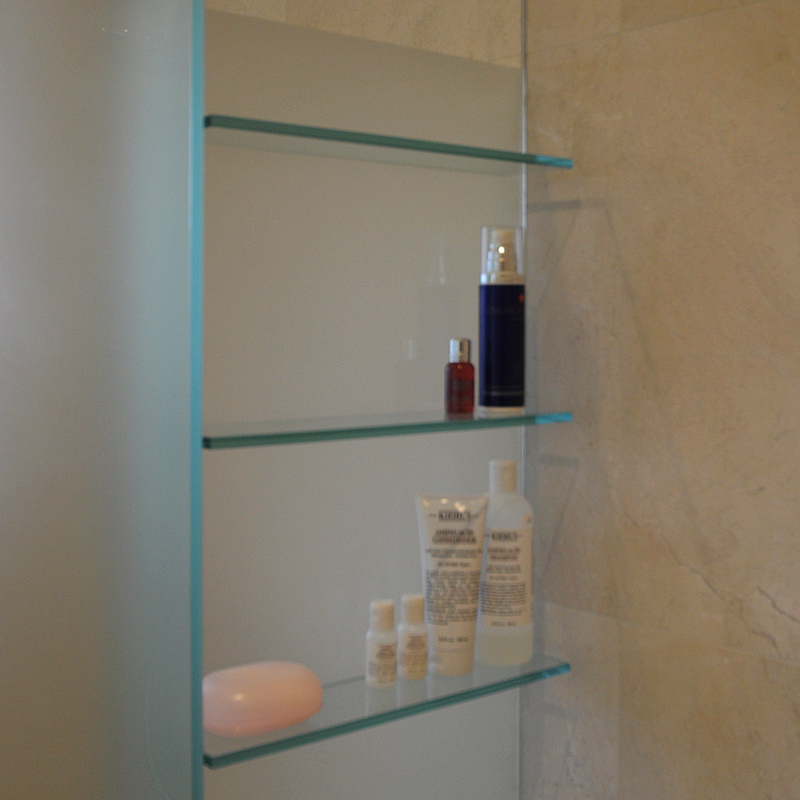 SSI UV bonded shelves are a simple but effective way to create an exclusive finish. 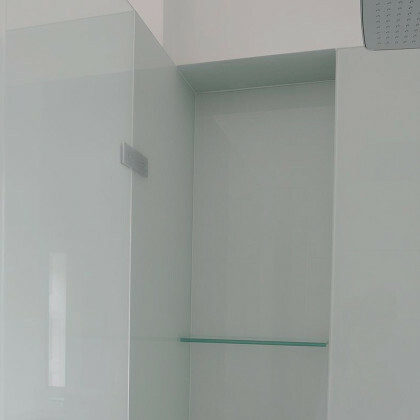 If the process of UV bonding is carried out professionally the joint is stronger than the glass itself and the glue is invisible to the eye after installation. SSI True Frameless does an expert job of of UV bonding toughened glass shelves to frameless glass shower enclosures or made-to-measure mirror.